I know this is long overdue, but I wanted you all to meet the very cool composer Nathaniel Levisay and the soundtrack "THE TOY SOLDIERS" on Howlin' Wolf Records. I wanted to thank him and my friend Zach for helping getting this together and the rest of the Howlin' Wolf team. You can check out the soundtrack from Howlin' Wolf by [CLICKING HERE] and maybe you can pick up it for yourself. Jeremy [The Wolf]: Tell us how you came to work on the score "The Toy Soldiers" and how do you find your inspirations for a project you chose to do? Nathaniel Levisay: I found Toy Soldiers by reading about it somewhere in the trades, if I remember correctly. I saw that Najarra Townsend was playing one of the lead roles in the film and I knew her from a film we worked on together years before called, DAWNING. I reached out to her and asked if she would introduce me to the director, Erik Peter Carlson, (and to please put in a good word for me). She did and then Erik and I took it from there. He asked me to demo the project and then officially brought me on board. Inspiration comes when I sit down with the film and start to work. There are other seeds of inspiration before and during the process -- it could be some key art work or a promo poster for the film, discussions with the director or in this case, personally growing up in the 1980s and drawing upon my own experiences and memories. Jeremy [The Wolf]: Who or what got you into music composing or was because you were a fan of film and just knew? 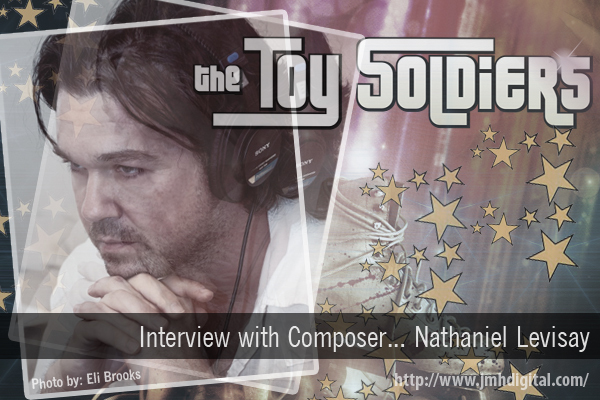 Nathaniel Levisay: I got very serious about composing specifically just as I was going into high school. I always grew up with music, loving all kinds of music -- and film scores played a very important role in my passion for lush, diverse orchestral writing. When I decided to pursue it as a career, I was fortunate to meet composer, Robert Elhai, who helped me get my feet over the threshold in Hollywood in numerous ways, he introduced me to many, many wonderful people, some who have since left us, like Michael Kamen, Debbie Datz-Pyle, Shirley Walker (I can't help but think of them at this time, not only because of their profound impact on my life, but the recent sudden loss of James Horner makes me sad to think how many legends have passed on too soon). Jeremy [The Wolf]: Where would you like to see yourself in this business of composing, who are some of the people you have worked with? Nathaniel Levisay: I want to continue what I am doing in feature film, working on interesting and diverse projects with interesting and talented people. I would love to start writing for video games, too. I feel that game producers have their minds and arms open to a range of musical ideas, including more traditional orchestral writing which has fallen out of vogue in mainstream films, generally speaking. I've had the opportunity to work with so many wonderful composers, performers, musicians -- too many to list -- just imagine Los Angeles and all the best players/musicians from all around the world congregating here. It's a scene, man. Jeremy [The Wolf]: How closely were you able to work with Howlin' Wolf Records on the input for the release "The Toy Soldiers"? 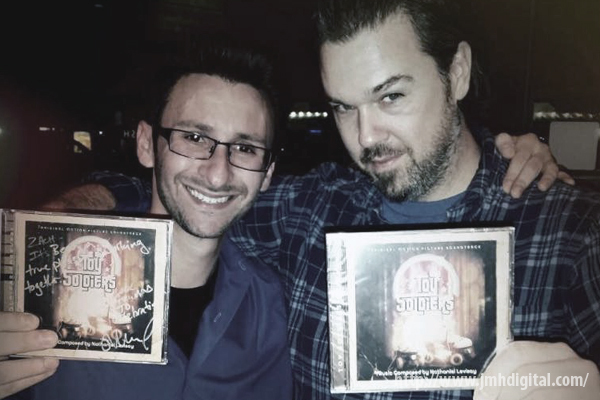 Nathaniel Levisay: I worked closely with producer, Zach Tow, from Howlin' Wolf; however, they were really the ones handling most everything with the release, the album specifics, artwork, working with the director and the music supervisor, the bands, etc. I was kept in the loop and produced the music itself. It was a wonderful experience working with them and the release is just beautiful. Jeremy [The Wolf]: What are you working on now, how does it compare to the soundtrack "The Toy Soldiers" and how is it going? There's also a couple other things in the melting pot that I'll be talking about more down the road. Thank you so much for the interview. I'm happy that you can help bring more attention to The Toy Soldiers experience through this and your website.